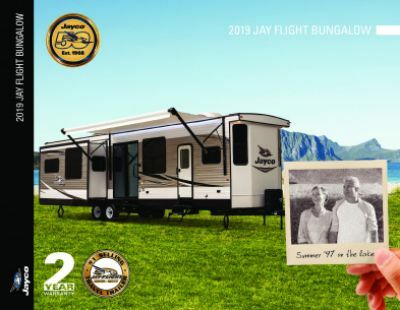 Here at TerryTown RV in beautiful Grand Rapids, Michigan, you'll save thousands on the 2020 Jayco Jay Flight Bungalow 40LOFT Park Trailer! That's because we've been selling top brand, new and used RVs at wholesale prices for decades! We're located at 7145 Division Ave S Grand Rapids Michigan 49548! Come in and talk to one of our friendly, knowledgeable staff and you'll be in your dream RV in no time at a price you won't believe! And even if you don't live in the Grand Rapids area, just give us a call at 616-455-5590 and with our fast, reliable worldwide shipping, this Jayco Jay Flight Bungalow 40LOFT will be at your door in no time! Tow this Park Trailer with ease. This Jayco Jay Flight Bungalow 40LOFT has a hitch weight of 1585 lbs. and a GVWR of 13250 lbs. There is a 20' 0" awning on the side of this 40' 11" long RV! When the excitement of a fun day ends, everyone is ready to cozy in for a great night's sleep! 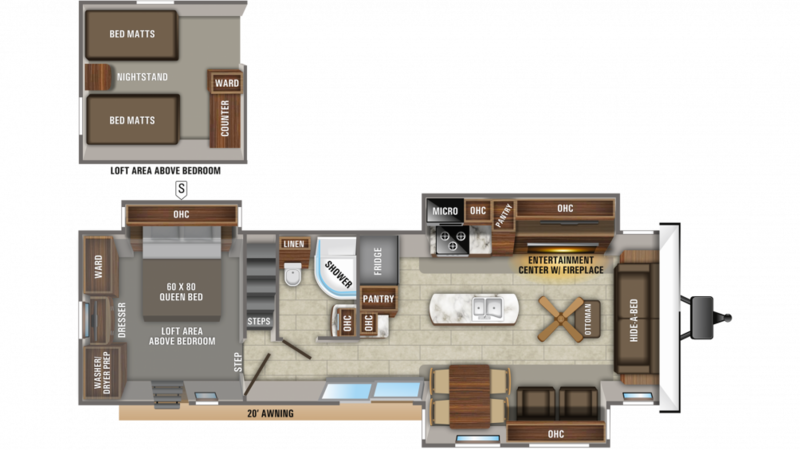 The 2020 Jayco Jay Flight Bungalow 40LOFT has great beds, and the awesome loft that's part of the accommodations provides additional roomy and comfortable sleeping space for kids or guests to enjoy!